C.A.R.E. Founder, Dora Ramos, to be Honored - C.A.R.E. EDISON, NJ – The Community Action Reaches Everyone (C.A.R.E.) 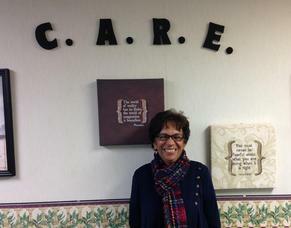 is an organization dedicated to assisting needy families in Edison Township, but how did C.A.R.E come about? Who is the driving force behind this local organization dedicated to helping others? For her work in the community Dora Ramos is one of four people being honored by the Edison Municipal Alliance/Youth Services Commission at the 12th Bi-Annual Volunteer Award Banquet at the Pines Manor on Thursday, January 29, 2015. The other honorees are Barbara Turanicza, Anthony Varroney, and Maureen Vogel-Horowitz. Ramos, who is so humble about the great work that she does, is happy to be sharing this award with the other distinguished honorees. Ramos explained what her community advocacy means to her in these words, “C.A.R.E. is a joy for me because everyone who gives to C.A.R.E. does it from the heart, not for publicity, not for thanks, but to help the kids.” She makes it a point to say that she couldn't do what she does without the support of the C.A.R.E. Board of Directors and the members of the community who so willingly donate their time and resources.